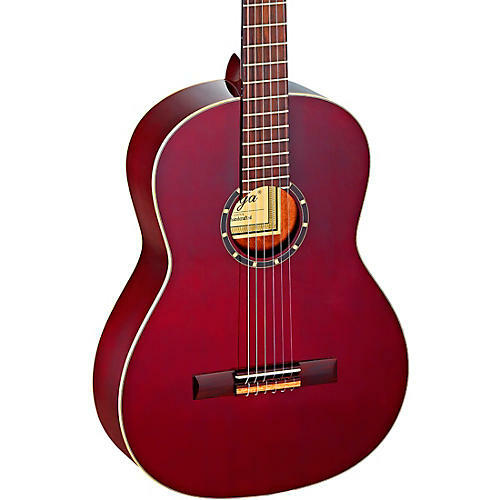 Ortega Guitars R131SN-WR Family Series Pro Slim Neck Nylon Classical 6-String guitar with free bag, solid Canadian Western red cedar top and mahogany body, stained red gloss finish. The Ortega Guitars Family Series Pro. These intermediate level guitars offer an upgraded solid top tonewood to the Family Series quality and construction for a more resonant sound and projection.